Design of a clean, double sided business card that is in-line with the company’s branding. The Mirror Man is a mirror retail store that had been operating since 2014. After the realisation of steady growth, the owner Darren contacted me with the need to develop a brand for The Mirror Man that would increase his brand awareness, trust, and customer base. 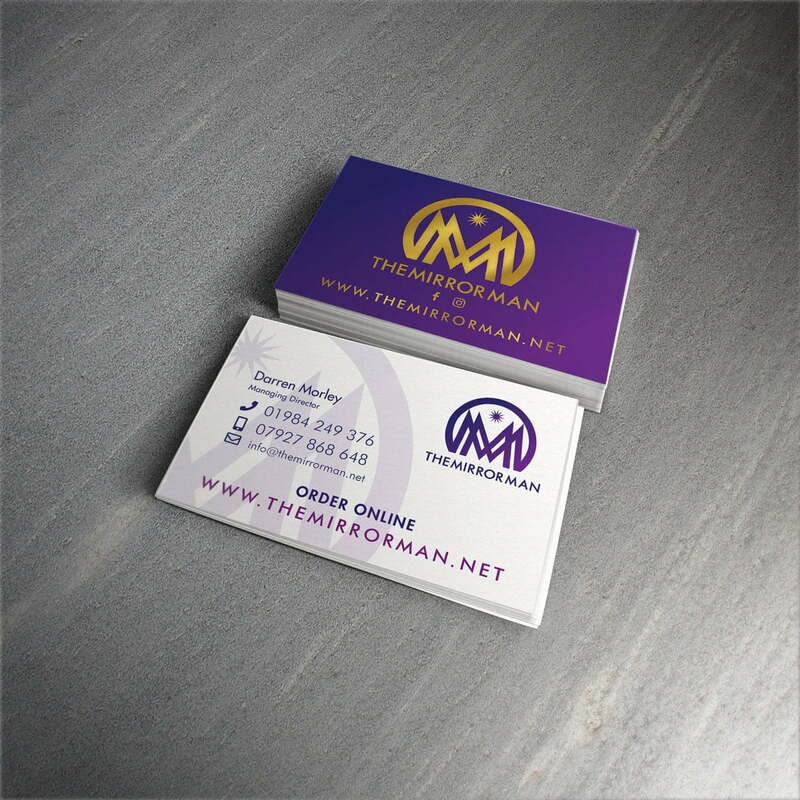 I was bought on board to create The Mirror Man’s (Darren Morley’s) unique branding from scratch which included his business cards. The intention of which is to direct potential customers to his e-commerce website. I used Adobe InDesign to create the layout and design of the business cards because of its adept text formatting and layout options. I chose a clean, modern style white background for the front, with text and elements coloured using the 3 key company colours along with the single ‘Futura’ typeface. The rear of the card includes The Mirror Man’s signature blue to purple gradient as a background fill, along with clean, up to date social icons. Darren loves his business cards and has told me that they are working very well for him in terms of receiving new emails and calls from customers.